Everyone hear has probably heard of a little thing called Pokemon, right? You all probably watched the cartoon show as it was airing, or played the video games on your Gameboys, or even collected and traded Pokemon cards, all without realizing it was from another country. 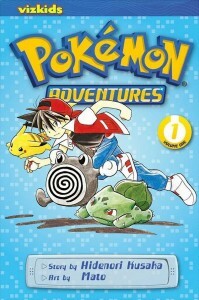 Well, did you also know that there was a Pokemon manga series? Probably not likely. 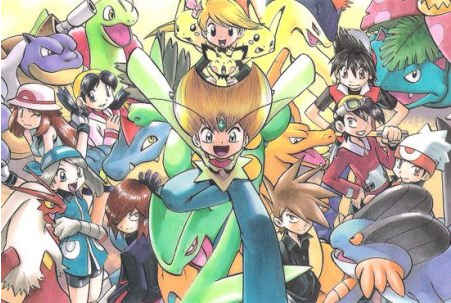 Released in 1997 as Pocket Monsters: Special, the series is written by Hidenori Kusaka and illustrated by Mato and Satoshi Yamamoto. Unlike the anime, which onyl draws inspiration from the games but creates its own characters and rules, the manga focuses more on the games with characters named after the game titles (Red, Blue, Crystal, etc.) and adhering more to the game story lines. Another thing is the violence and sexual innuendos that the series has. The story lines are much darker than the anime or even the games with people and Pokemon dying, there is greater emphasis on female’s bodies including a 14 year-old’s large bust and there can be mature subject matter that is addressed such as child abuse and overcoming trauma. The characters also have better development over the course of the series in contrast to the games (in which the human characters are flat and the main character is silent) and the anime (seriously, Ash. That is all). Still, most of the adult content was cut out from the English versions, but I think there may be an uncensored version around the Internet if you are inclined to find it. Blue using her “assets” to trick an enemy. At fifty-one volumes the manga is still ongoing. 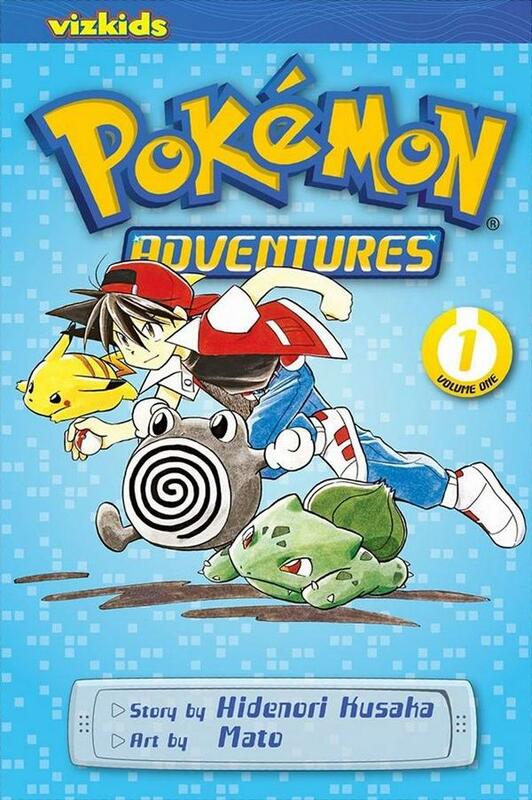 It was praised by Pokemon creator Satoshi Tajiri as being the medium in which it “resembles the world that [he] was trying to convey” and it has sold over 150 million copies world wide (yet most people don’t seem to know about it). You buy it at or local book store or on Amazon. A part of me wonders how the relationship between the different mediums affects what is made. For example, you said that the manga is much more based off of the video games as opposed to the anime. This makes me wonder which medium is more successful and profitable. Going strictly by the idea that the manga is based off the video games, it leads me to believe that the video games are more influential in society than the manga. Also, because the manga features a lot more mature content, it makes me wonder just how the authors tailor each medium of the same topic (Pokemon) to different age groups. 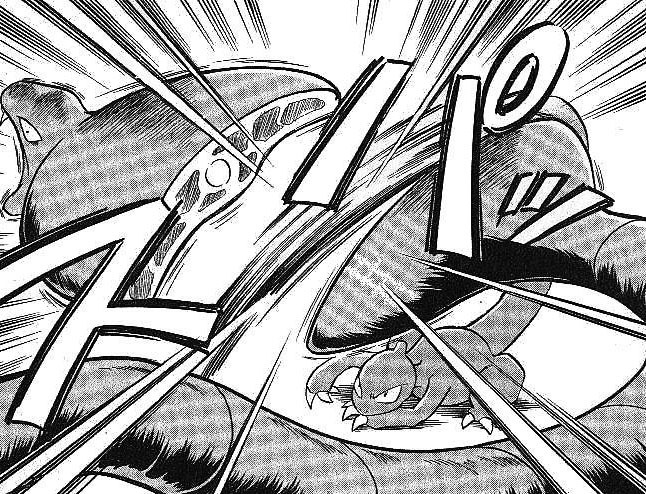 Seeing as how the anime is much more kid friendly, the manga seems to be aimed more at the older Pokemon fans. I also find it interesting that there’s such a thing as Pokemon death. 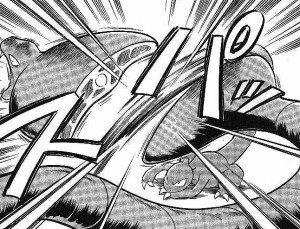 To be honest, we are so used to seeing Pokemon being defeated in battle and then healed at the Pokemon Center, which makes something like Pokemon death a completely alien idea. Ultimately, I’d be interested to see in what other aspects the manga is different from the anime, because as you point out at the end of your post, the manga is still quite popular. Do you know if public reception has leaned more towards the manga or the anime, or if they’re both equally popular in their own ways?